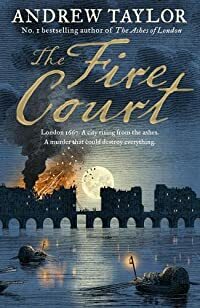 This entry was posted in Books and tagged Andrew Taylor, London 1667 setting, murder mystery, The Fire Court, The Great Fire of London by Katrina. Bookmark the permalink. I love connections like that, Katrina: Bergerac to the great fire of London! I was so surprised when I read he had also written the Bergerac books. I had no idea Andrew Taylor wrote the Bergerac series – that’s interesting! I enjoyed this book too and am looking forward to reading The King’s Evil soon. Me too. I might give some of his other books a go too. Gosh, what a gorgeous book cover! That sells the book in and of itself. This one and others by this author sound like I’d be very interested. I’ll take note! Thank you. I thought that too about the book cover – they’ve got it right for once!